A bedroom chair and designer drapes transformed this bedroom! 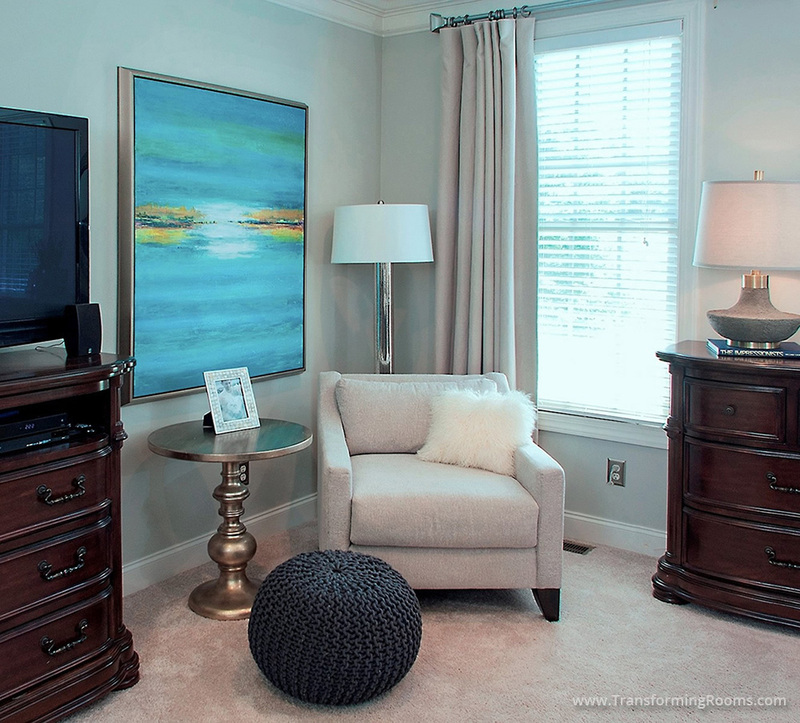 The prior designer quoted a 10 to 12 week waiting period to order a chair, custom drapes and art. This mother of three was thrilled we provided immediate deliveries. She loved our unique service of on sight viewing in the convenience of their home! This Winston Salem, NC bedroom is now colorful and functional.